Today we have a blog post written by one of our volunteers, Rod Cooper. Gateway Magazine, Winter 1975. 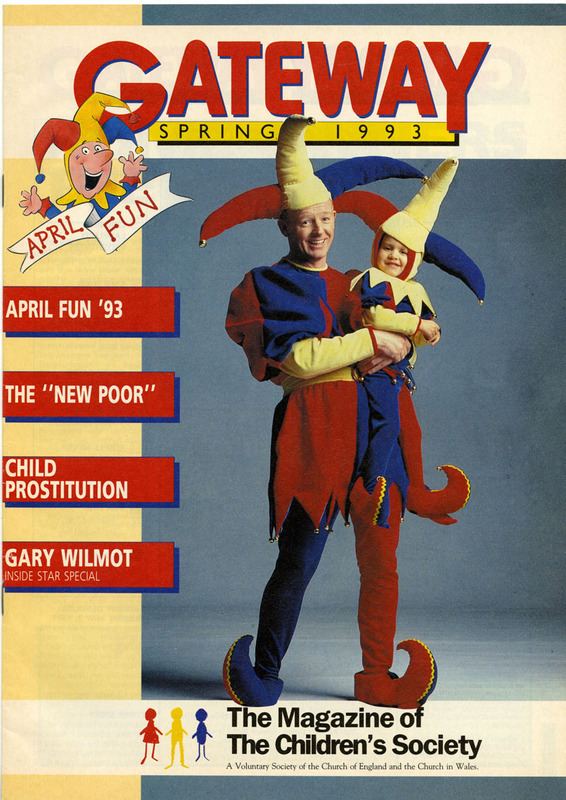 During my researches into the development of The Children’s Society’s projects during the latter part of the Twentieth Century, one particular issue of Gateway – the quarterly supporters’ magazine published between 1953 and 1993 – was so strikingly different in both content and appearance that it was not misplaced to consider it as some sort of break from the past. When I first came across this issue I was astounded by the abrupt change in tone and content compared with previous issues. Previously, successive editions of the magazine comprised a fairly consistent diet of supporters’ fund-raising efforts, stories from The Children’s Society homes, remembrances of former residents, and general news and competitions. Whilst it would be quite unfair to label the magazine as “cosy and safe”, it wouldn’t be misplaced to say that by the 1970s the magazine was somewhat out of step both with the changes in society as a whole and the associated changes in the work of The Children’s Society. These changes had already been flagged-up and reported by The Children’s Society in various Annual Reports published during the early-seventies. Chief among these were the declining importance and emphasis of the twin pillars of nursery and children’s homes. The numbers of babies entering The Children’s Society’s nurseries was in steep decline (a combination of the contraceptive pill, the legalisation of abortion, and increasing numbers of “unsupported” mothers choosing to keep their babies). Ten such homes closed between 1966 and 1969, whilst in 1970, Amphlett House, Droitwich, closed as a trainee nursery nurse hostel. As for children’s homes, there was a steady decline in the number of these as the demand for places decreased and more and more House Parents retired. By the end of 1973, for example, there were fewer than 1,000 children residing in The Children’s Society’s homes, whereas as recently as 1968 there were almost 1,500. Contemporaneous with these trends, there were significant and not-unrelated changes in the emphasis of The Children’s Society’s work. Most – but not all – of these fell within the scope of maintaining children within their families and emphasising the importance of the family unit. Among the consequences of this were the promotion and development of new forms of working with children and young people such as day-nurseries and day-care, and the movement towards family centres. Coupled with these moves The Children’s Society also embarked upon a programme of increased professionalisation of staff and engagement of qualified social workers. 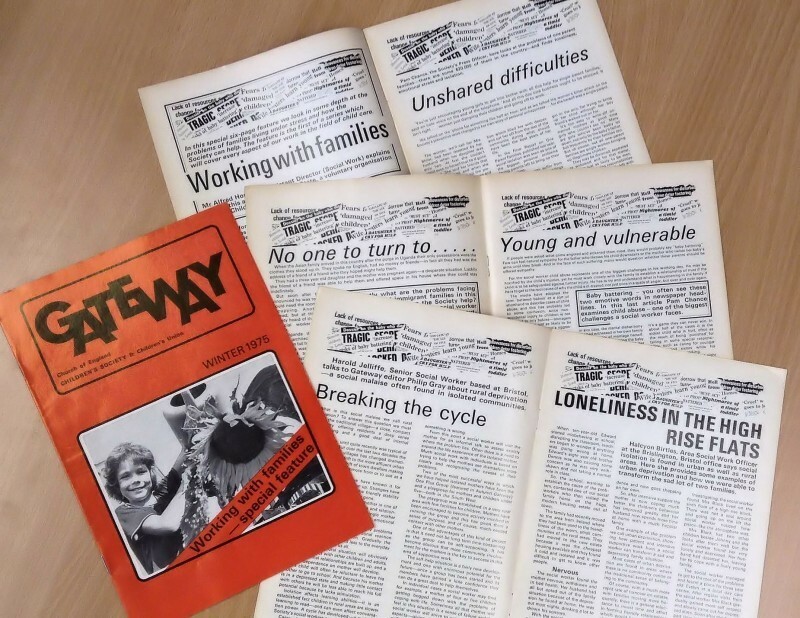 Into this milieu, the Winter 1975 issue of Gateway should not perhaps be viewed as so surprising, and indeed some previous issues had reported on such matters as day-care and an emphasis towards the family unit. However, compared with preceding issues it marks a significant step-change and its impact at the time must have been extraordinary. Noted on the front cover as “Working with families – Special feature”, there are six thematically linked pages and six articles – most authored by qualified social workers – reporting on issues such as urban and rural deprivation, social isolation, child abuse, and the plight of recent immigrants. Furthermore, as a means of branding the feature, there is a banner across each of the six pages comprising a montage of ‘tabloid’ newspaper headlines. Among these, “A Daughter’s Cry for Help”, “Nightmares of Timid Toddler”, and “Wife Beaters Learn Young” provide a flavour. Taken together, these articles and the means by which they were presented, clearly mark a change in direction and a desire to portray the realities borne by some children and their families. Successive issues continued to concentrate on these ‘new realities’ and throughout 1976, readers were presented with reports on such matters as depression, single-parent families, and problem teenagers. 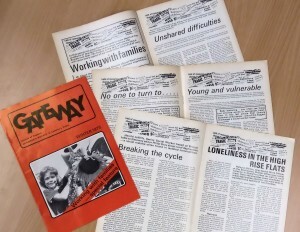 The final edition of Gateway was issued in Spring 1993, and the themes brought into sharp focus almost twenty years previously, along with The Children’s Society’s stated avowal to provide “a comprehensive child care service” allied to its “privileged position to innovate,” continued to be reflected right through to the final issue, for example, featuring articles on the ‘New Poor’ and Child Prostitution. Allied to this, the necessity and desire to report professionally on events and circumstances – however, distressing or disturbing – was always to the forefront and never shied from. This entry was posted in Archive stories and tagged Gateway Magazine, preventive care, social work, Social work projects, Volunteers by Ian Wakeling. Bookmark the permalink.